For the past several years, I’ve made huge strides to reduce my exposure to harmful toxins… from the foods that I eat to the products that I use on my body. But, finding decent options to replace the not-so-good-for-you store-bought cleaners has definitely been more of a challenge. Using baking soda and vinegar for everything sounds like a great idea in theory, but the results just haven’t measured up for me (especially for the amount of time and elbow grease that’s often required). 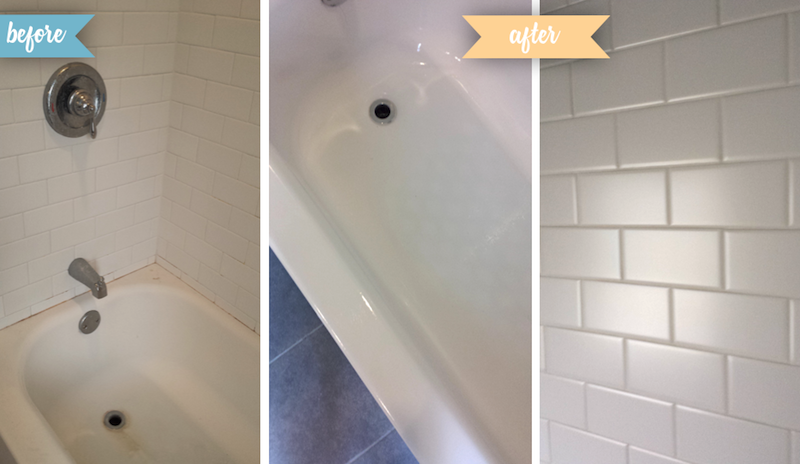 Well, I did a lot of experimenting and I finally found a solution that works against that gunky build-up in the bathroom (and it doesn’t require hours of scrubbing!). Step 1: Grab some baking soda and liquid castile soap. Step 2: Add some baking soda to a bowl (I used around 3/4 cup… ish – measurements don’t have to be exact). Step 3: Add some liquid castile soap to the baking soda and start mixing with a spoon. You want to add enough liquid castile soap to form a thick paste (I used around 3-4 tablespoons… ish). Step 4: After you’ve formed your paste, add some water to thin it out a little bit so it’ll be easier to spread (I used around 2 tablespoons or so). Step 5: Apply your cleaner to whatever surface you’d like to clean and scrub with a sponge/brush/cloth. 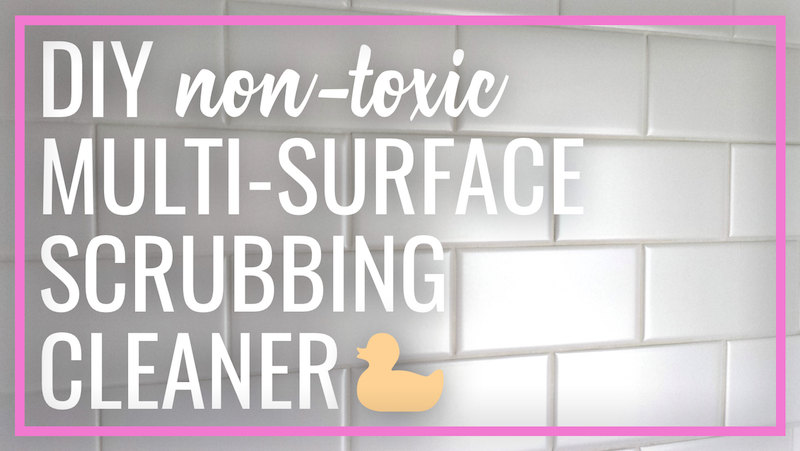 I’ve used it on my ceramic tile, bathtub, sinks, toilets… though you may want to test this cleaner out on an inconspicuous area first just to make sure it’s safe for whatever surface you’re using it on before you commit. Step 6: Rinse with water. Voila! Enjoy your clean surface! If you try it out, let me know how it works for you!